This year’s trends and high-momentum startups with the potential to shape the future of cybersecurity. Over 800 data breaches were disclosed in 2018. Each new breach raises fears that trust in the global digital economy is eroding. In tandem, investors are seizing the opportunity to back the next generation of cybersecurity startups. This report details the latest cybersecurity trends, opportunities, and startups to look out for this year. We look at the rise of deepfake detection, armored email, cloud native security, and much more. Using the CB Insights platform, we’ve identified 28 early-to mid-stage high-momentum companies pioneering technology with the potential to transform cybersecurity. 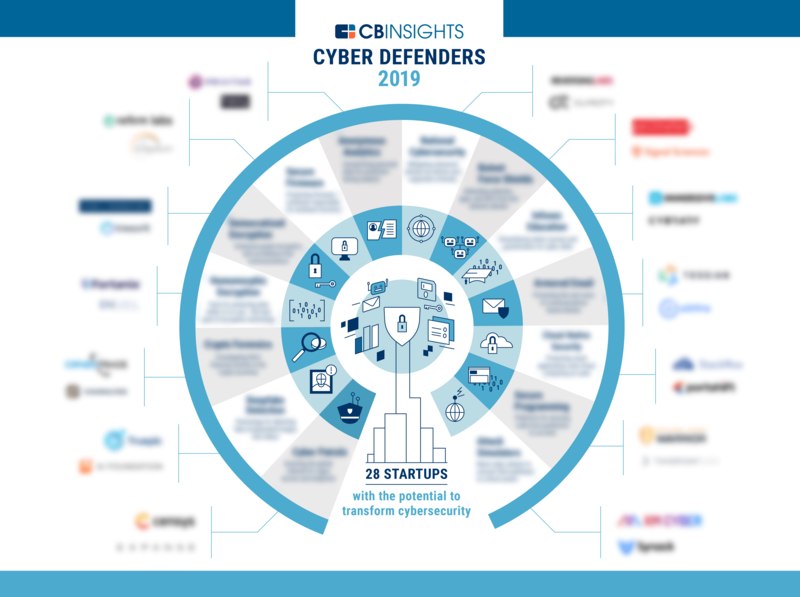 Get the report where we dig into the 14 categories shaping cybersecurity innovation in 2019, and the 28 cybersecurity startups that are most well-positioned to transform the space.